Some people just know they are different from others and that they are destined for better things. Do you have that very same feeling? It could all be to do with your heritage and where you came from. In the Dragon Born slot game, you will find out all about those who are the kin of dragons. Set in a mystical far-off land, this game gives you the chance to take part in some adventures with them – maybe you’ll find out that you too are a dragon born? Play the latest online slots at Wizard Slots today. 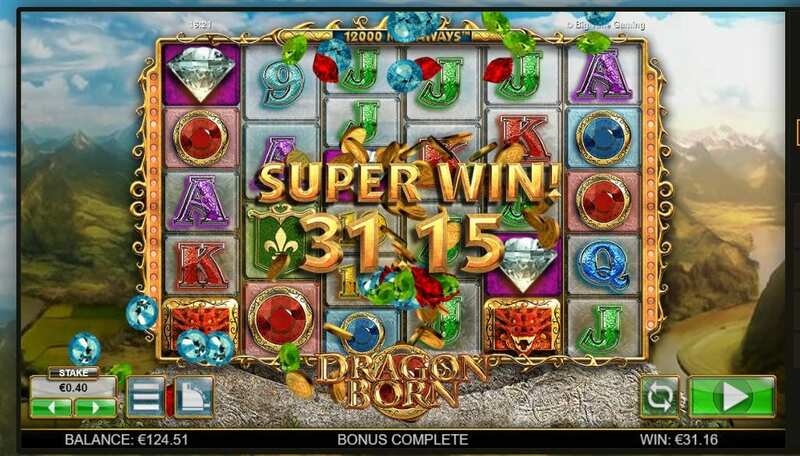 Big Time Gaming is the genius behind the Dragon Born casino slot. They have a very enviable portfolio of games behind them and you could easily be fooled into thinking that they have been around for a long time already. But that isn’t the case – in fact, Big Time Gaming have only been in business since 2005. They obviously pride their quality over quantity, though as their small but well-formed catalogue shows. Why not try some of their other games next, like Stacks of Cash or Temple of Fortune? Both available now on WS! When you start Dragon Born, you will be transported to a mythical land where dragons still exist. Even though the setting looks quite tranquil – you will see a rural scene with many green valleys, snow-capped mountains and country roads – it won’t stay quite so peaceful for long. The surrounding land is under threat from a dragon and it is now up to you to help save the kingdom’s people and win yourself some princely prizes in the process. To do that, you need to spin the reels and pray for some matching symbols that will bring you pay-outs. Read our guide for a list of best UK slots online that players like most. This game is rather unusual as it comes with six reels as opposed to the traditional five. The reels stand on the gold-framed game board that features a lot of different symbols, each of which looks suitably fantasy and medieval-themed. The colourful letters and numbers are the lowest values on the reels, while the picture symbols are worth a lot more. They include regal banners, shiny jewels, and silver goblets. A few different characters from the game’s story will also appear. Some symbols come with bonus features. * WILD SYMBOL – Keep looking out for the joker as he is the game’s Wild symbol. He will appear on his own or as a stack. 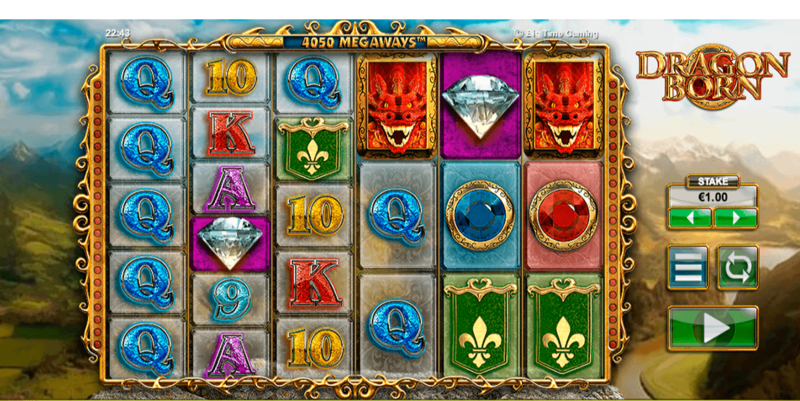 He will help you increase the size of your winnings, especially when he lands as two stacks on the board in one spin! * SCATTER SYMBOL – The diamond symbol is the Scatter. You need to land three on the board to activate six free spins. The more diamonds you find, the more fee goes you will benefit from.